I discovered this past week why I wasn’t able to see certain Facebook fan pages when my friends in the US could. It wasn’t that the page didn’t exist or that there was an error with the page, instead it was something pretty simple. The page owner had their settings restricted so that only people in the USA could view their page. I’m in Canada so I could not see these pages at all. When I click on the link, I would be redirected to my Facebook newsfeed. Maybe the page owners don’t realize that only US folks can see their pages or maybe they only want USA fans. I really don’t know. For example, here’s the message I get when trying to view a Facebook page in a Rafflecopter form. I wouldn’t be able to do this entry. 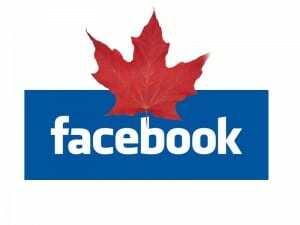 To check to see if you are Canada-friendly, go to your Manage Permissions on your page. Check to see if you have Country Restrictions. The people that I talked to who did have their page restricted to US only never even realized it! We are nice people here in Canada so don’t forget about us! We like to enter giveaways too and are active on Facebook! That’s crazy! Is it automatically set to that or did they intentionally have to go in and do it? I’ll have to check mine! I think you have to put it in there yourself but I could be wrong. Thanks for this information Stacie! I checked, and mine is completely open, but it is really good to be aware of. Thanks for this good info, Stacie. I went into my facebook page and double checked that I’m open to all countries. My hubby and I honeymooned in Canada, and we’ve been back several times since. And now we’re realizing how many of our friends grew up there or lived there at some point. Certainly don’t want to block you out! Blessings! Aww!! I have changed mine now!!! !